The regular networks are months away from announcing their schedules for next fall but Showtime has given two of their biggest shows autumn premiere dates already. 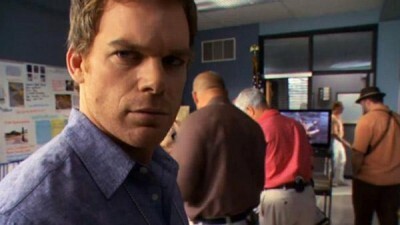 Season seven of Dexter will kick off on Sunday, September 30th, at 9pm. Showtime has ordered a dozen episodes once again and has already given the go-ahead for an eighth season as well. Season two of Homeland will follow Dexter at 10pm and also will have 12 episodes this season. What do you think? Are you looking forward to seeing either of these TV series again? Do you think one is better than the other? More about: Dexter, Dexter: canceled or renewed?, Homeland, Homeland: canceled or renewed? They souls bring Feb back for soon off, and when she returns she doesn’t remember anything after thrown off boat by Dexter so she wasn’t really died. Isn’t it a little early to already announce the return dates for these shows? They haven’t said when Weeds comes back yet, and these 2 don’t come back for 6 months.